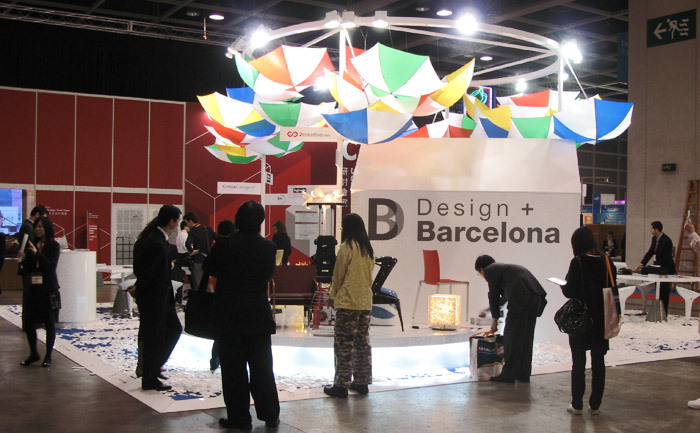 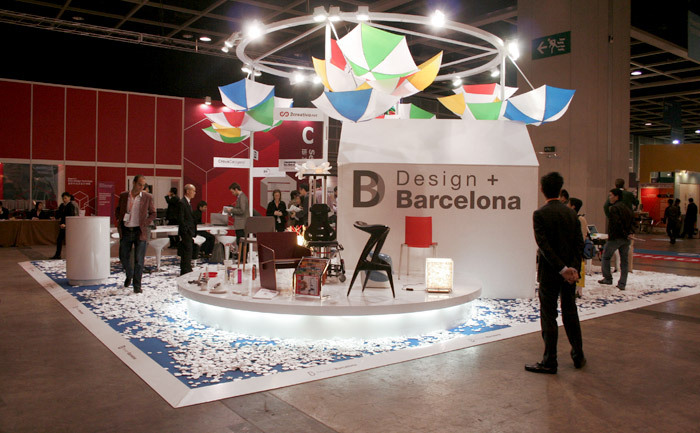 Corporate Identity and Catalog Design+Barcelona, ​​group of designers in group participation, we attended the fair IDTExpo’09 of Hong Kong. 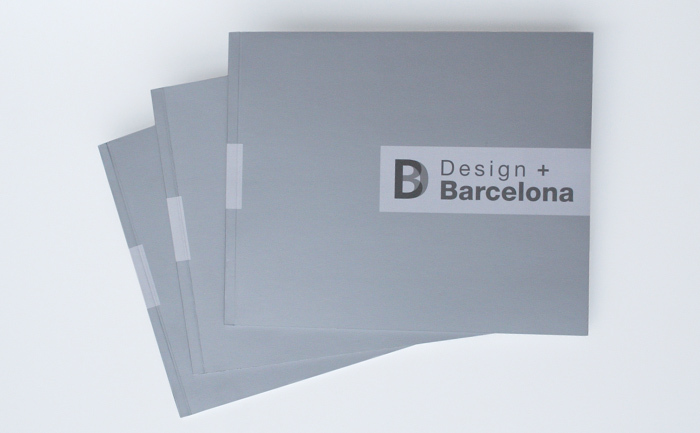 Create an identity to represent a group of design teams with very different approaches. 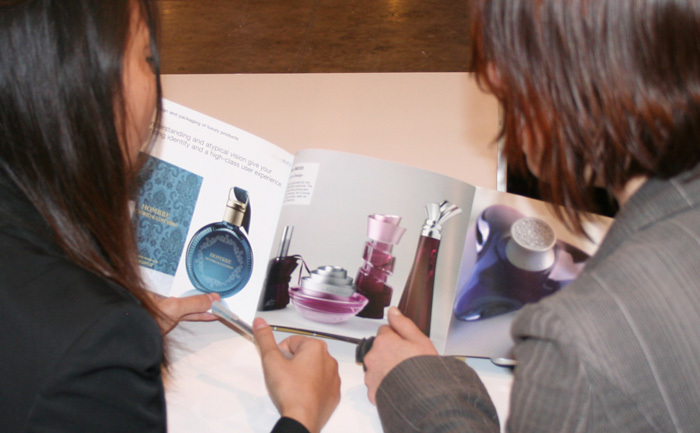 To design a group catalogue, that would also allow each team to show their work without interferences. 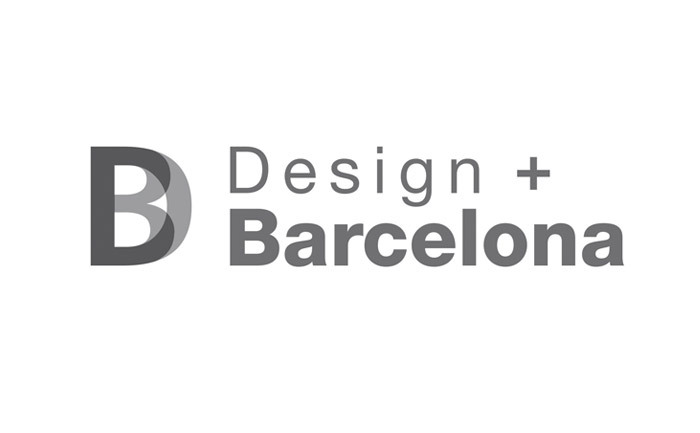 Neutral and solid identity that represents an overlap between Design and the city of Barcelona: Barcelona joins us together and inspires us. 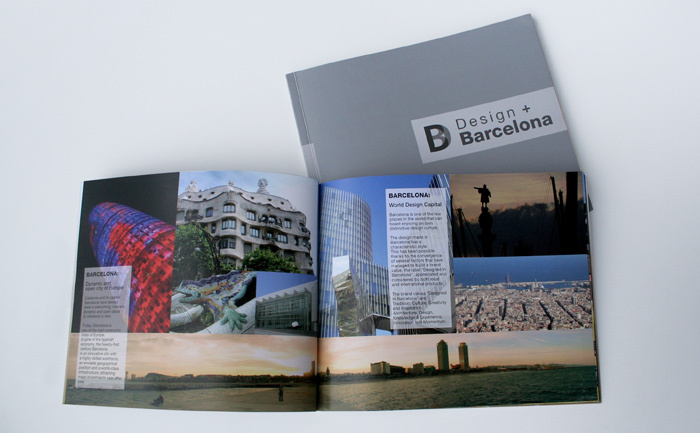 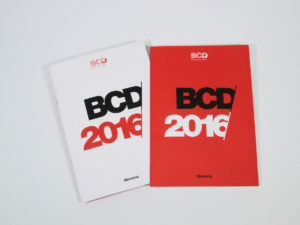 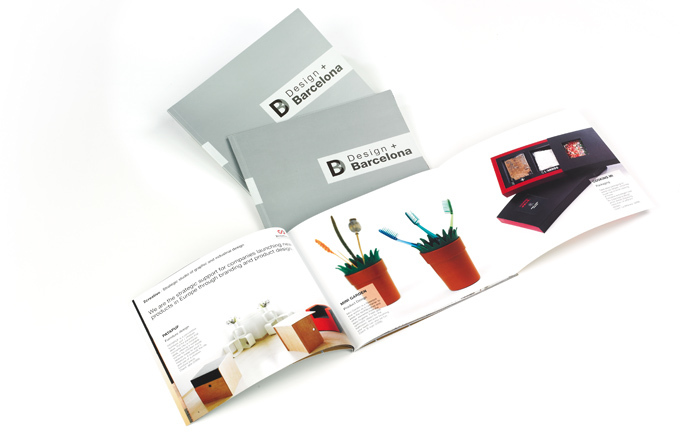 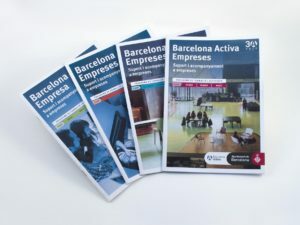 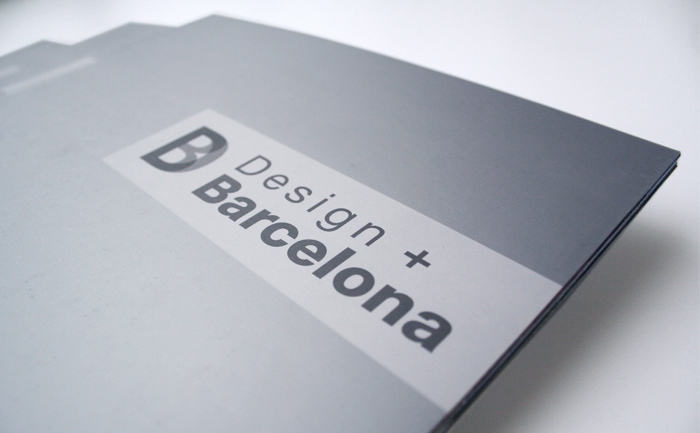 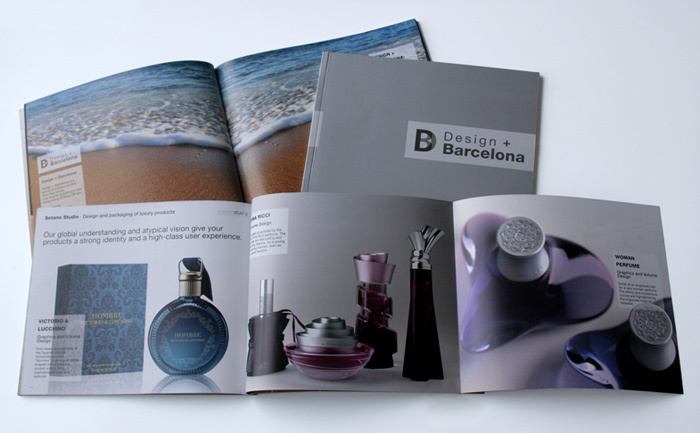 The catalogue shows the city of Barcelona and the different design teams: each team is identified with a corner of Barcelona that inspires their work. 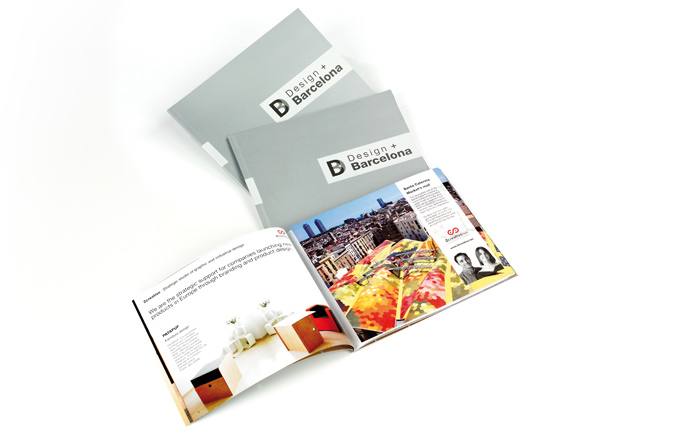 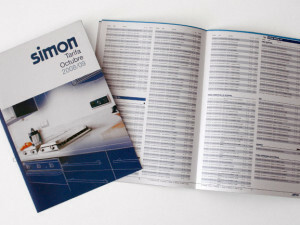 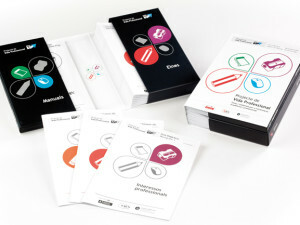 A foldout displays three full-page projects of every team, capturing the attention of the user. 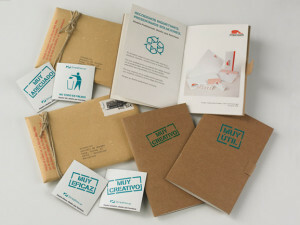 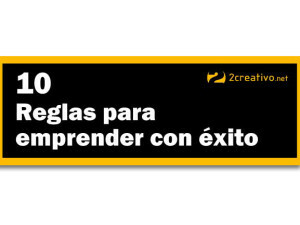 Art direction, concept identity, graphic design, print management. 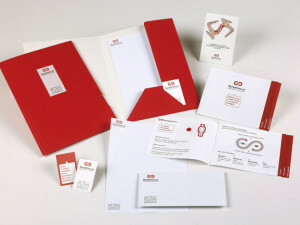 Naming (brand name), logo, layout and manual application.